PM63 - Call of Duty: Black Ops Guide! The PM63 can be purchased at level 29. The clan tag, when purchased and selected, is etched onto the left side of the gun, slightly left of the trigger. 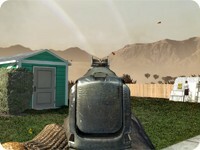 The emblem is placed on the back of the gun above the magazine, and it can be seen when aiming down the sight. When using the PM63 it is advisable to use the Extended Mags attachment, since the regular magazine only holds 20 rounds, but with Extended Mags, the magazine holds 30 rounds. 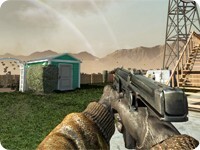 Scavenger is also recommended as its high rate of fire uses up ammunition very quickly. The PM63's easily controllable recoil, good range, and open iron-sights allow engagement at a variety of ranges, although it is still most effective in close-quarters. 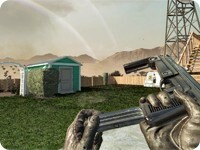 The Grip attachment can be used to more easily eliminate enemies at long range, though it is not absolutely necessary. Rapid Fire is not recommended, as it increases recoil, and burns through ammo at an alarming pace. In addition, it is not possible to combine Rapid Fire with Extended Mags via Warlord. Also, Dual Wield is not suggested due to the huge and largely uncontrollable recoil.